I am sure by now, you have all heard of mineral makeup. I myself hardly ever wore makeup until I discovered mineral based products. The liquid foundations were just too heavy for me and the chemical laden eye shadows always made my eyes water and itch days after use. Over the last few years I have learned to love makeup, but my approach is a natural look that hides flaws, but makes you look like you have nothing on. I have tried a variety of brands and some are far better than others, but the Orglamix (Organic Glam) brand created by the talented Cheri Tracy is definitely some of the best I have ever tried. Recently I was given the opportunity to try out three products from her line. For the affordable price of her products and the quality you receive, I would highly recommend her products to anyone looking to try mineral makeup or who is looking for a low cost alternative to their current pricey brand. Orglamix is committed to keeping mineral makeup healthy and strictly au natural. All of our products contain the minimum of ingredients (natural ones at that) but still promise truly great products that really perform. The result is a professional quality, synthetic free cosmetic collection with perfectly pigmented products for eyes, lips and face that are also gentle and pure enough for all skin types. Our promise to you is no nasties, no parabens, no synthetic dyes and definitely no nano-particles and of course – fabulous healthy products! 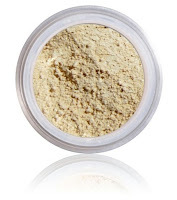 Orglamix Pure Mineral Makeup will make you feel good both inside and out. First up, I was able to try out the Orglamix mineral foundation in Balsa. This is made for light skin with golden undertones and the color was perfect for my skin. The first thing I noticed about this mineral foundation is how light it is and how it simply glides on the skin. Other mineral brands I have tried have been quite heavy and hard to blend. This was a refreshing change and I love that the only ingredients in this product are Mica, Sericite, Black Iron Oxide, Red Iron Oxide and Yellow Iron Oxide. All natural! The next product that I was able to review is by far my favorite. I have never experienced anything like it and I probably won't switch back to blush after discovering the great Pure Organic Mineral Glow options available in the Orglamix shop. I chose the Rose Quartz mineral glow which gives a rosy pink glow, but there are plenty of other color choices available. This is an amazing product. It glides on smooth and super light over your mineral foundation, to provide a flawless glow with a hint of color. I have never looked better than with this product. 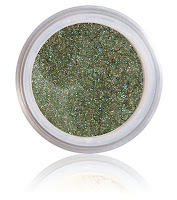 The last product I got to try out was one of the Orglamix mineral eye color shades in Vetiver. This was a dazzling green color and the thing I like about this eye shadow is that it literally sparkles. Not like cheap glitter, but like fine diamond dust. It is really elegent and I had a lot of comments on my eyes, which does not usually happen because I wear glasses. The shadow can be worn dry or you can apply it wet for extra intesity. There are a ton of breathtaking colors to choose from in the Orlamix shop. If you can't wait to try out these amazing pure organic mineral products, then you can head on over to the Orglamix store and browse through the many color choices and kits Cheri has available. 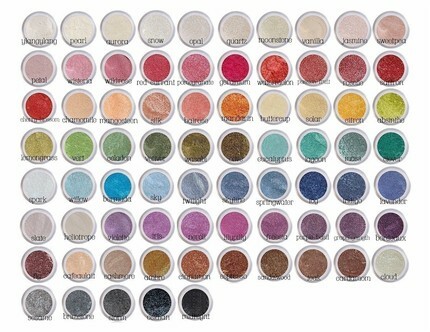 Eye colors and regular sized face products start at only $4.99, which is a tremendous value for mineral makeup! You can also visit the Orglamix blog for the latest news and makeup tips too. Cheri, the owner of Orglamix has been generous enough to allow me to give one lucky winner their choice of any three colors of any Pure Organic Mineral Eye, Blush, Glow, Foundation or Color Corrector. That is a $15 value! This giveaway will end on July 19th at 8pm EST. The winner will be chosen through random.org and will have 48 hours to respond to the winning email or another winner will be chosen. Open to US residents 18+ only. In order to be entered into this giveaway, you must visit Orglamix and leave a comment here about an item you would choose if you won. No other entries will be counted until the above mandatory entry is complete. You may choose to do as many or as few of these as you want, but please leave a separate comment for each entry so that it can be counted. Also, please be sure that there is a way for me to contact you if you are chosen as the winner! Entries will be verified. * I was given three Orglamix mineral makeup products to try out, but was not compensated for this post in any other way, The thoughts, opinions and words expressed here are entirely my own and were not influenced by anyone else. i would love to try abisinthe and citron! One of the items i would choose is the Hyacinth eyeshadow! I would like the fair-Starter kit. I publicly follow you via Google Friend Connect. I entered the $25 CSN gift card giveaway. 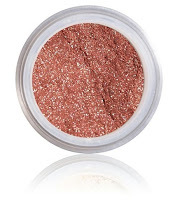 I would start out with the Rosy Future - Pure Organic Mineral Blush (tea rose). I like the Moonbeam Collection. Orglamix mineral foundation in Balsa. teak and olive eye color would be my favorites to try. I would choose a starter kit Hazel Eyes POP - Pure Organic Eye Color Collection. I really want to try mineral foundation. have heard great things! I would love the Mineral Foundation in Bocote! I would love to get the Gold Aura Effects, Pure Organic Mineral Aura Effects,looks beautiful! I would chose the Rosy Future - Pure Organic Mineral! ~ :) Thanks! 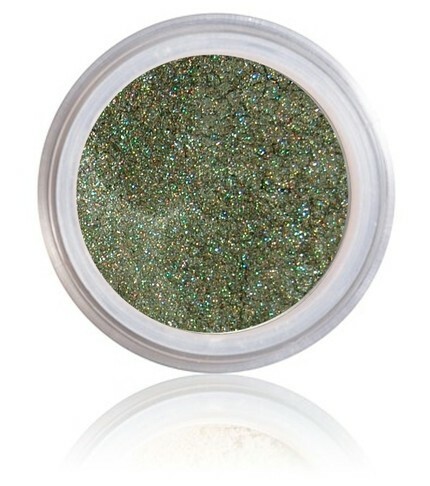 I would get the Cardamom pure organic mineral eye color! Celadon eye shadow I think. My current eye shadow makes my eyes itch if I wear my contacts, so I'm trying alternatives. I would try the Butternut Pure Organic Mineral Foundation. I would choose the Bordeaux Mineral Eye Color. Hi, I'd choose the Violace - Pure Organic Mineral Perfecting Corrector if I won. I "Like" Orglamix on Facebook. My FB name is Maddie Brubaker. I would for sure want the fair starter kit! I entered the crazy dog contest. I like Cafe Au Lait, Passionfruit, and Teak. I follow your blog with google. I follow orglamix on facebook. I would choose the self-adjusting mineral foundation! great stuff! i would choose the Whole Grain Pure Organic Self-Adjusting Mineral Foundation. I'd love to try the Pure Organic Mineral Foundation! Love the Champagne Toast Eye makeup! I would choose the Acai eyeshadow. 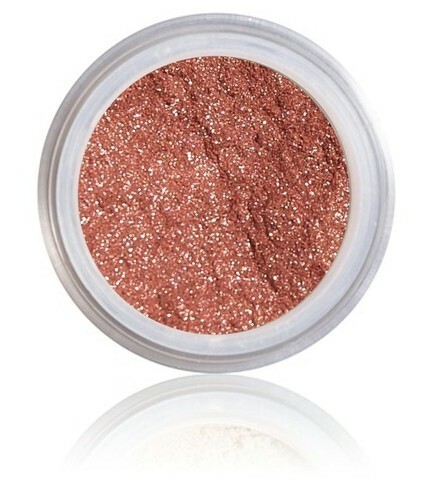 I would choose Bordeaux - Pure Organic Mineral Eye Color for my first item choice. I love purple! I like Orglamix on Facebook! Entered your Charm Factory Charm Bracelet Giveaway!